–Paso Robles plumbers 4 G’s Plumbing has recently announced the launch of a new website designed by Access Publishing. To view the website, click here. Their new website features a smooth layout, a video advertising their company, illustrations relating to their industry, and much more. On the home page one can find links to their pages on Yelp, Facebook, Twitter, Google Plus, and Foursquare, as well as navigational tabs. Also found on the home page is a video that conveniently gives brief information about the company, and several sub headers that provide information about some of the services that 4 G’s offers. A little further down the page are a few testimonials from satisfied customers that have used 4 G’s services. The new site offers information about the company, which is a family owned business and is currently owned by Brad Gilkey. According to the, “About Us,” page, the 4 “G’s” come from the family name, Gilkey, and represent the owner Brad, his wife Whitney, and their twin girls Brooklyn and Baylee. The About Us page also displays the services guarantee which states that all service calls except stoppages will be warranted for a 30 day period, new fixtures and faucets are warranted for a 30 day period, new water heaters are warranted for one year, no stoppages will be guaranteed for any reason and same day callbacks will be considered a call continuation and charged at minimum, and that all manufacturer’s warranties and extended warranties are between the manufacturer and customer. 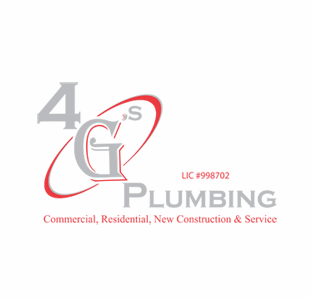 Paso Robles Plumbing Company 4 G’s is owned by Brad Gilkey and has yet to have a customer left unsatisfied. 4 G’s guarantees that customers will appreciate the professionalism and quality of their work, all technicians show up clean and their trucks are professionally stocked and tidy. They take great pride in their workmanship, and greater pride in customer service & job cleanup. Not only are they equipped to handle their job, but they also come with cleaning equipment so no mess is left behind. Press release by San Luis Obispo online marketing company Access Publishing, 806 9th Street, #2D, Paso Robles, CA 93446 (805) 226-9890.